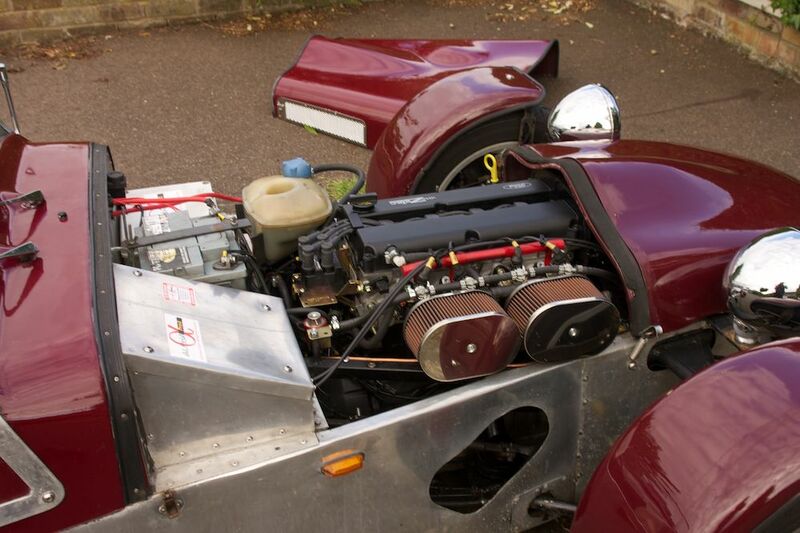 The simple way of describing this is that I have had a new engine fitted to the Tiger. Instead of a Pinto Engine it now has a Black Top Zetec, running a Webcon Alpha Fuel system with Throttle bodies, raceline sump, lightened flywheel etc. Don't ask how much it cost as I won't tell you but it was a large bill just for parts. I didn't fit it myself, lack of space, welding capability (the engine mounts on the chassis had to be relocated) and time meant that Tiger fitted it whilst I was away on holiday. Was it worth it - yes the difference in driving is significant. Although I didn't undertake the fitting I did get and fit the swirl pot, injection pump, and additional fuel rails prior to the car going in to save some work by Tiger with the fitting charges. 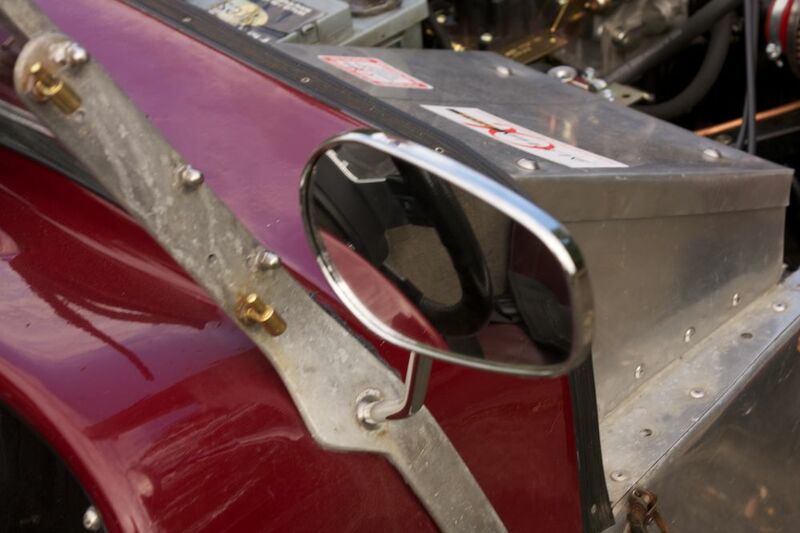 The swirl pot came from Flash Customs and was a custom design to fit in the chassis of the car. 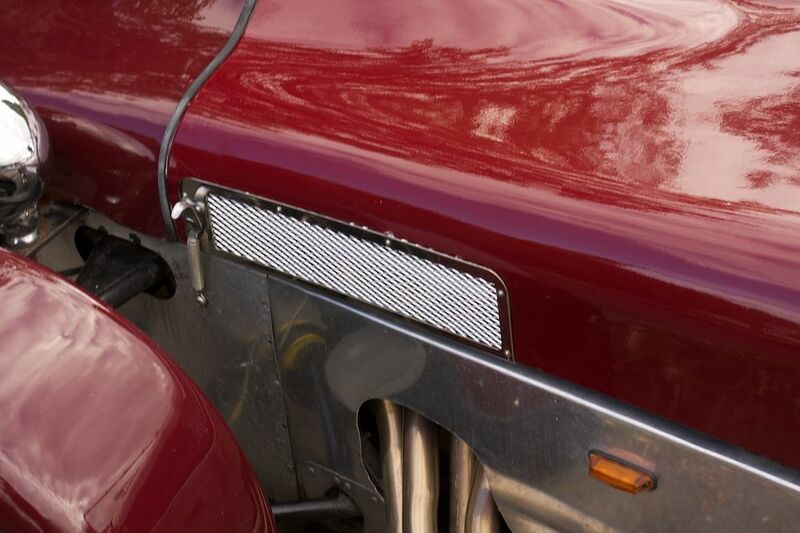 Flash Customs also made a trim panel to hide the hole where the carbs used to stick out of the side of the bonnet as well. Another job which was done at the same time was to replace the very tatty mirrors on the car with a pair that actually gave a decent angle of view behind me. After some work I found a set at the show which looked perfect - a wide angle head nice long stalk etc. However when fitting them to the car it became apparent that the stalks were the wrong shape for the Tiger. Either they would be so low that all you saw was the rear wheel arch, or they were tall enough but so close into the body that the windscreen pillar and side screen rendered the passenger side one useless. Something needed to be done. It took a couple of weeks to locate the correct size Die for the screw thread (the mirrors use M10x1.25) and then some brass rod. I then got Malcolm Brown (EATOC Chairman) to help with bending the tube and putting a thread on it. The completed stems went to a plating company in Manchester to get chromed and then the completed mirrors where fitted to the car as you can see in the picture below.